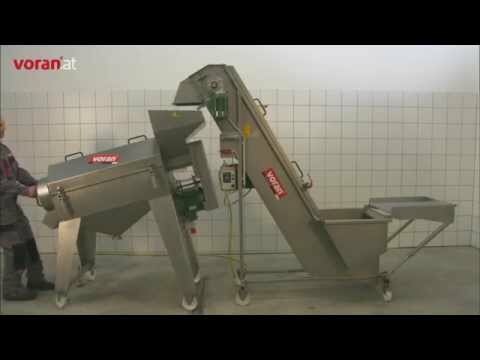 De-stoning / straining system with changeable screens and adjustable rotor for de-stoning and straining fruit and berries. The stones are ejected separately from the mash. Vegetables, Apples, Apricots, Pears, Blackberries, Strawberries, Dates, Blueberries, Carrots, Cherries, Manioc, Peaches, Plums (damsons), Quince, Beetroot, Sallow thorn, Tomatoes.